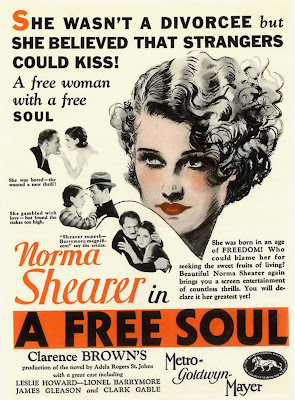 Today, I'm reviewing the classic legal melodrama A Free Soul (1931), starring Lionel Barrymore and Norma Shearer. This article is part of Order in the Court! 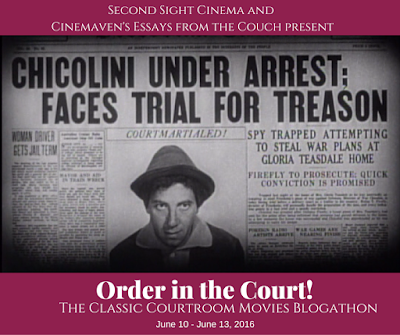 The Classic Courtroom Movies Blogathon hosted by Second Sight Cinema and CineMaven's Essays From the Couch. 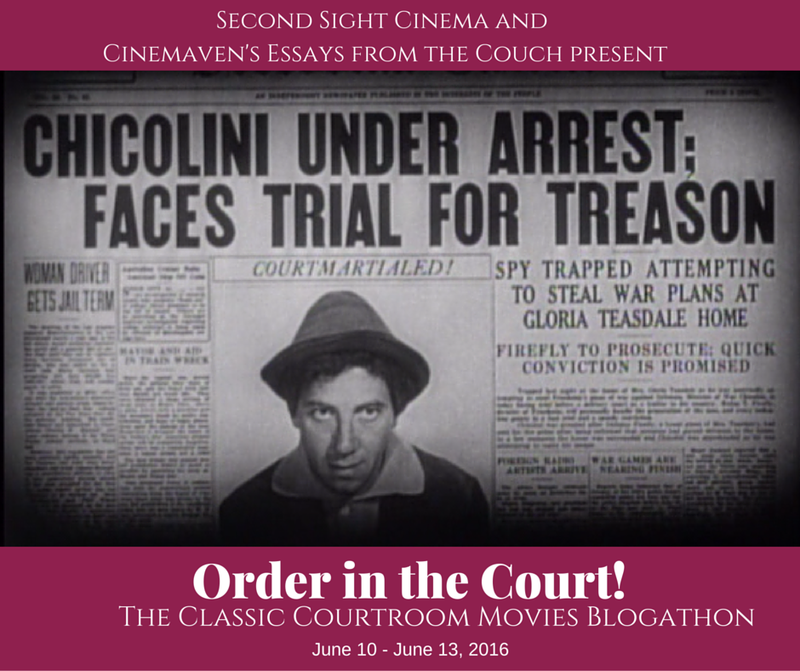 There are a lot of great courtroom scenes in old Hollywood films, but even 85 years after the film's release, there's still been nothing quite like Lionel Barrymore's performance in A Free Soul (1931). The great actor, who is playing a drunken criminal defense lawyer who redeems himself with one last case, brought a total physical and emotional commitment to his role that earned him a much-deserved best actor Academy Award. A Free Soul tells the story of Stephen Ashe (Barrymore), an alcoholic defense attorney who earns a comfortable living by getting San Francisco's criminal element out of legal jams. When Stephen's free-spirited daughter, Jan (Norma Shearer), gets mixed up with one of his gangster clients, Ace Wilfong (Clark Gable in a star-making performance), he strikes a bargain with Jan: He will give up drinking if she gives up Ace. This works for a time, but when Stephen falls spectacularly off the wagon, it leads to a series of events that bring him back into the courtroom one last time. 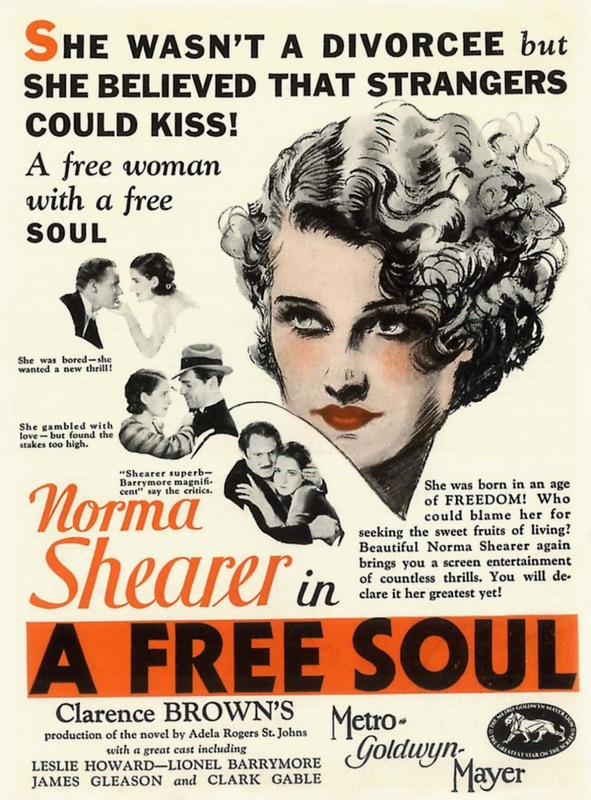 A Free Soul is based on a novel by Adela Rogers St. John that was later turned into a successful stage play. MGM producer Irving Thalberg bought the rights as a star vehicle for Shearer, who was his wife, even though St. John, who based the story on her own relationship with her lawyer father, envisioned Joan Crawford in the role. For her part, Crawford, who was always old Hollywood's master at throwing shade, said, "How can I compare with Norma when she sleeps with the boss?" The first hour and 15 minutes of A Free Soul are pretty standard pre-code melodrama with the standout performance being given by Clark Gable as a devil-may-care gangster. Gable didn't yet have his trademark mustache, but his immaculately tailored suits and easy masculinity generated a flood of fan mail asking for more from the Ohio-born actor. 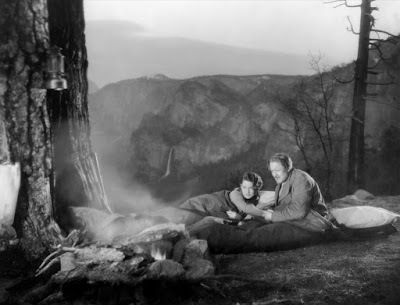 Lionel Barrymore and Norma Shearer enjoy the great outdoors. The movie is also an interesting time capsule of life in the early 1930's. Audiences learned how to get liquor during Prohibition -- just go to your friendly local druggist and ask for "Jamaican ginger" (wink! wink!) -- and director Clarence Brown's location shooting at Yosemite and Sequoia and King's Canyon national parks provides some glorious natural vistas. (Pay particular attention to a very angry mule in these scenes. I don't know if it was a Crawford fan, but I think it is doing its darnedest to get a hoof into Shearer). 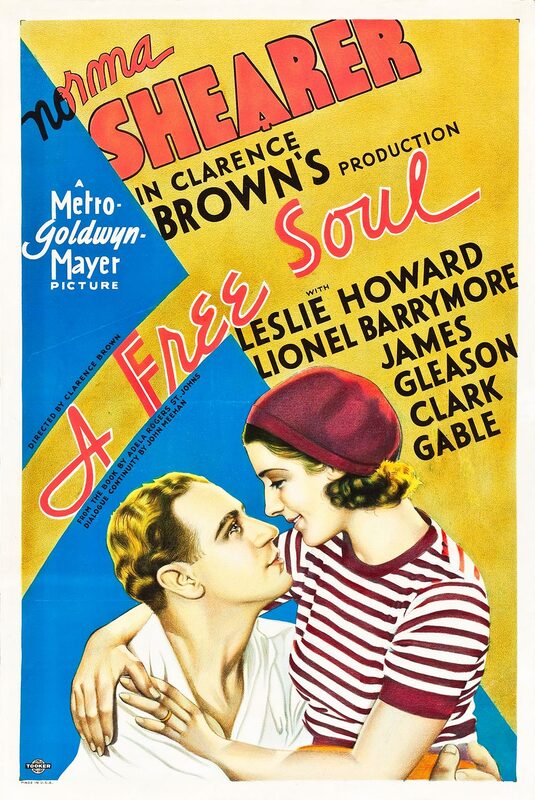 The real highlight of A Free Soul -- and the reason Barrymore won an Oscar -- is the final 14 minutes, which features an extended courtroom scene that is still quite extraordinary today. Brown filmed the scene with multiple cameras so he could get all of the action in one take, which probably greatly helped the stage veteran Barrymore, who dominates this scene while the other actors fade into the background. Barrymore's unforgettable closing arguments were based on the theatrical style of St. John's father, Earl Rogers, who was a famous Los Angeles criminal defense attorney. Rogers, who was the basis for the character of Perry Mason, only lost three cases in his legendary career. Rogers was particularly noted for his expertise on medical issues. He often won cases by tripping up doctors on medical evidence, and he frequently hauled body parts, including a skull and intestines, into the courtroom. Here's a clip of part of Barrymore's closing arguments. A Free Soul is available on DVD and video on demand. I consider myself a Lionel fan, but don't recall being over-the-moon about this particular film/performance (I would have been rooting for young Jackie Cooper that year). Perhaps it was the earlier part of the film, the build-up, that let me down. You have convinced me that I owe it to Lionel and to myself to give this another look. Lionel is my favorite Barrymore. He does have a tendency to ham it up -- he wouldn't be a Barrymore if he didn't -- but I appreciate his ability to put his heart and soul into every performance. I think this is s brilliant performance, and I would argue that the power of it begins even earlier -- when Stephen is trying to quit drinking. The agonized realization. for both him and his daughter, that he can't do it, is really tragic and beautifully played by both Barrymore and Shearer. A Free Soul is quite modern in its portrait of addiction and how it effects Stephen's daughter. I love Norma, but she is an acquired taste. Hey Amanda. I love that you wrote about a Lionel Barrymore film. I must admit that I've never seen this film, but I've got it on DVD, so I must watch it soon. Great post. You certainly did Lionel justice. Don't forget to check out my contribution to the blogathon. Will do. The movie you chose looks fascinating. Since I'm getting more and more fascinated with Lionel Barrymore, I have to see this film soon. I laughed at your "angry mule" remark. Vry good review. Lionel was a great actor.